Weighted arm sleeves are growing in popularity among weighted workout clothing. The ability to wear resistance makes it possible to workout virtually anywhere. Weighted arm sleeves help improve speed and strength of the arms, shoulders, chest, core, and back. Athletes and casual exercisers alike are flocking to weighted arm sleeves to help amplify their workout. There are many on the market, but not all are created equal. 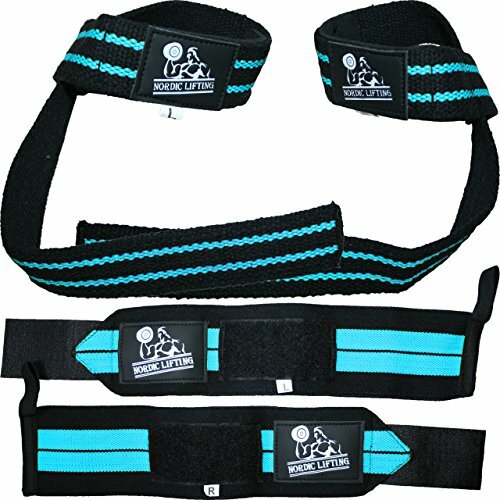 Here is a top ten list of weighted arm sleeves, often called arm cuffs, all of which are available on Amazon.com. 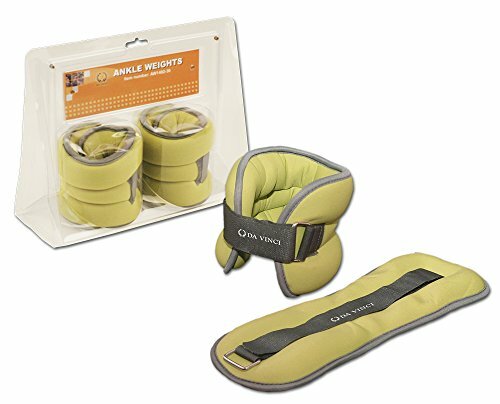 An appealing feature of the Valeo Adjustable Wrist Weights is that they can also be used as ankle weights. These weights are short and fit like a cuff. They are sold as a pair and each sleeve can be adjusted from four pounds up to twenty pounds. Each adjustable sandbag fits snugly in its compartment on the sleeve and has minimal movement while wearing them. Each closure features adjustable D-rings to fit any size wrist. The sand weights are padded, which does add to the bulk of the sleeve, and it cannot fit under most clothing articles. 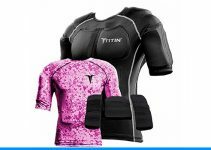 These weighted sleeves are created for any level of activity and can withstand the most strenuous workouts. 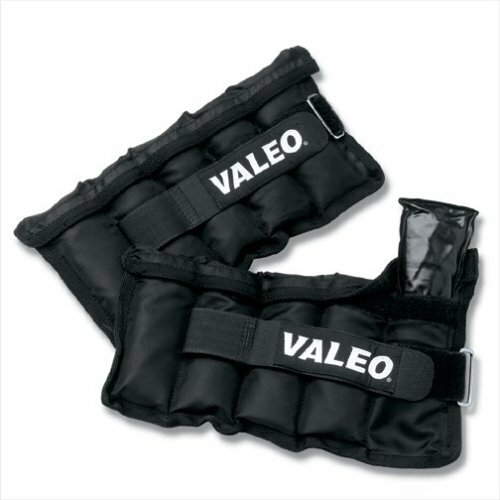 For the person looking for weighted sleeves that can be used as either wrist or ankle weights, a sleeve that has extra padding for extended comfort, and adjustable weight, the Valeo sleeve is a perfect choice. The Nordic brand weighted arm sleeves are an even more versatile choice for those in the market for weighted clothing. These weights can be moved from wrist to hand to leg to ankle. The Nordic weighted wrist sleeves are sold as a pair and come with a convenient carrying case. Each sleeve features reflective material, making them safe for use outdoors. The sleeves each weigh three pounds, and the weight is secured tightly to each sleeve. The sleeves are extendable up to a fourteen-inch circumference which makes them usable by almost everyone. They are very durable and are made of neoprene with reinforced stitching. The Nordic brand also features a one-year manufacturer’s warranty to safeguard against any factory defect. These versatile sleeves are a great choice for the workout enthusiast looking for durability and static weight. 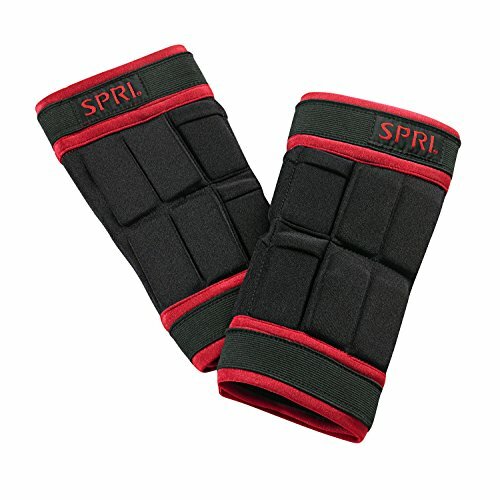 The SPRI Perfect Fit Arm Weights are adjustable between one pound and five pounds. These arm weights, like many others on the market, aim to be concealed under clothing. 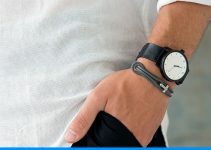 Because of that, they have a very slim, snug design that hugs the weight to your arm while still remaining comfortable to wear for extended periods of time. The closure on the sleeve is adjustable with Velcro so that it fits nearly everyone. Almost all the weights can be removed from the sleeve, but not all. This makes the sleeve hand and spot wash only which may not be as convenient as some need. This weighted arm sleeve is meant for moderate intensity workouts, and will hold the weights in place throughout. It is the perfect sleeve for joggers, yogis, all day wearers, etc. 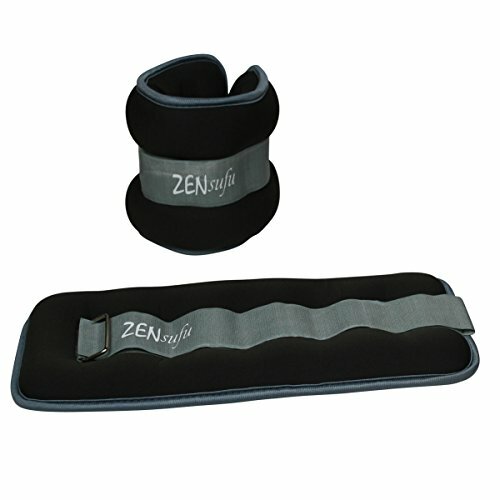 The Zensufu Wrist Weights are sold as a pair and also feature the versatile option of being worn as ankle weights. The pair comes with a carrying case which is a black pouch. The wrist weights are capable of being sized to anybody and feature an adjustable strap which secures with Velcro. Each sleeve weighs one pound for a total of two pounds for the set. The weights on the Zensufu wrist sleeve are not adjustable and are sewn into the sleeve. Each sleeve is extensively padded which minimizes the ability to wear them under clothing but maximizes comfort while exercising. For those looking to start out small and build up to more weight or those looking to tone and stay with a smaller weight, these comfortably weighted arm sleeves would make a great purchase. Unlike other items on this list, the Da Vinci Adjustable Wrist Weights can be ordered in many different weights. They range in weights from one, one and a half pounds, two pounds, three pounds, and four pounds for each sleeve. The sand filled weighted sleeves are meant to conform to the body which makes them comfortable for extended wear. They are made of a soft material and have an adjustable strap which fastens with Velcro. They are one size fits all. Each sleeve is lined with a moisture absorbent material to wick away sweat. The weights are attached internally and are unable to be removed meaning that the sleeves can only be spot cleaned. The Da Vinci weighted arm sleeves are capable of being worn on the ankle as well. 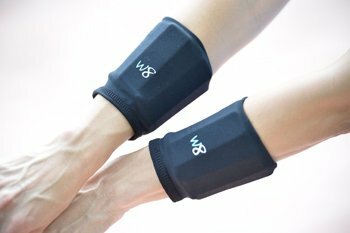 For a lighter set of weighted arm sleeves, these W8FIT Adjustable Weighted Wrist Cuffs are a great option weighing in at half a pound each. Each sleeve has two weights weighing a quarter of a pound each, and they fit snugly into small pockets. The weights are made of a stiff material and do not offer the flexibility of sand weights. Due to this, the sleeves feel stiff on the arm, but they are not uncomfortable to wear. They are made of a light, stretchy fabric and can be hidden underneath clothing. They are also a one size fits all style, but these sleeves do not have an adjustable strap. Instead, they rely on the material to stretch enough to fit various users. The materials are also breathable and comfortable to wear during the most intense workouts. The NMA Cuff Weight provides a wide variety of weighted arm sleeve options. The sleeves are sold in weights ranging from a quarter pound to twenty-five pounds. The weights are secured within the sleeve and cannot be removed, even for cleaning. Each weight stays in place during all levels and activity, and there is minimal movement within the sleeve. These sleeves can be adjusted to fit not only the wrist but the ankle and thigh as well. They are made of a slick, sweat-resistant material and feature a long Velcro strap. The sleeves also feature double stitching throughout to enhance the product’s durability. Each sleeve also has a grommet for easy storage when the workout is complete. The easy storage combined with the variety of weights and its durability, make this product a smart purchase for every level of exerciser. 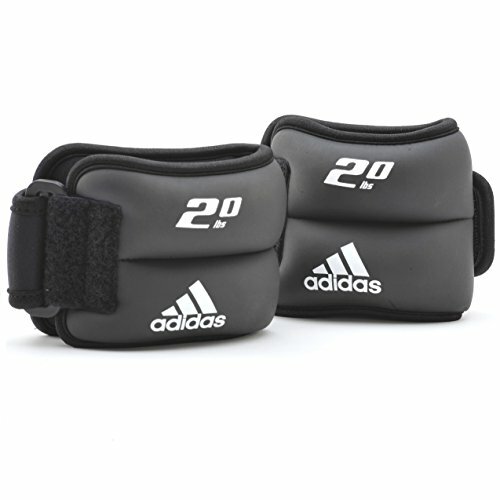 The Adidas Wrist Weights are a great choice in weighted arm sleeves for their comfort. They are made of a soft material and conform to the shape of the wearer’s arm. They are comfortable enough to be worn all day and can be concealed under most clothing. The Adidas sleeves are also one size fits all and have an adjustable Velcro strap with a securing loop to keep them in place while working out. Each sleeve weighs two pounds and is perfect for toning or building endurance. If a smaller weight is needed, they can also be ordered in one pound size as well. Another feature of the Adidas Wrist Weights is that they can be worn as ankle weights as well. Keeping with the quality expected of the brand Adidas, these weighted sleeves are highly durable and ready for everyday use. 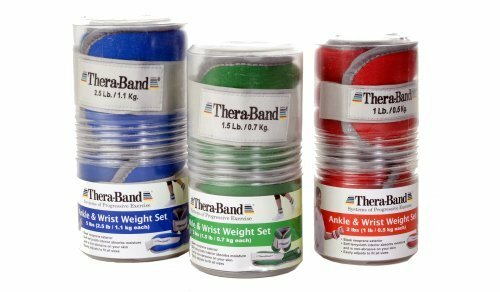 The Thera-Band Comfort Fit Wrist Cuff Weights are sold as a pair and are available in two pounds, three pounds, or five pounds sets. 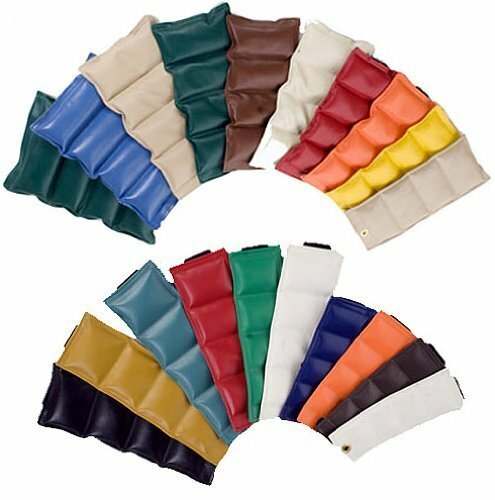 They are made of a soft neoprene, and they have a soft interior which is nonabrasive on the skin and absorbs sweat. The sleeves also have a safety feature of reflective striping so that those who exercise outside can do so safely. Their slim design makes it easy to hide them under clothes and wear them all day long. The Thera-Brand Comfort Fit sleeves are one size fits all and are adjustable to fit almost any user. Due to their Velcro straps, they are easy to put on and can be put on by one person without the help of another. They are durable and perfect for anyone looking for a soft sleeve. The Habitual Ninja Premium Wrist Weights are a stylish choice for any exerciser. They are available in 2.2 pound, 4.4 pound, or 6.6-pound sets. They are made of a comfortable neoprene fabric and attach with a wide, adjustable Velcro strap with a buckle. The sleeves are weighted with iron sand which allows the sleeve to hug the wearer, and it increases comfort. They are so slim fitting, that they can be hidden beneath clothing and worn for extended periods of time. Each sleeve can fit a wrist up to 10 inches in circumference and as small as 6 inches in circumference. These sleeves are an excellent choice for those looking to wear them all day and those looking for maximum comfort.